New Waterford is a beautifully landscaped deed restricted condominium community. Our community has 168 condominiums with a choice of two floor plans – two bedroom with two bathrooms or two bedroom plus den with two bathrooms. New Waterford at Berkshire Lakes is conveniently located approximately one mile from Publix, Walgreen’s, Starbucks, banking, dining, hair and nail salons. We are a short drive to Fifth Avenue, Third Street South, the beaches and the Naples Pier. 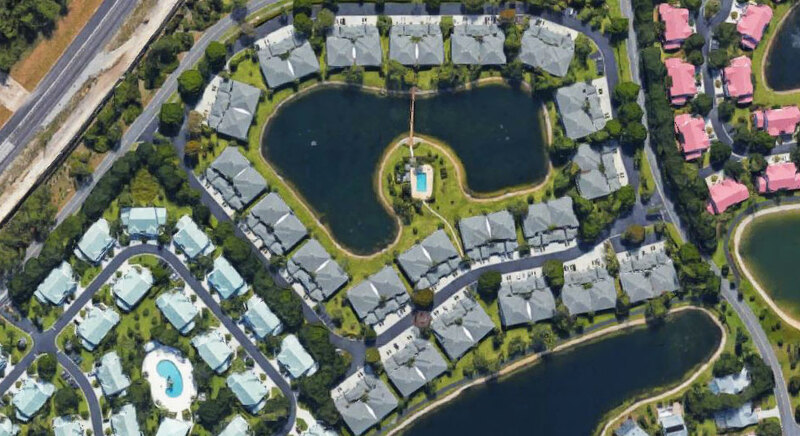 New Waterford is a small, friendly community located within Berkshire Lakes. Our community has one hundred sixty-eight Condominiums each with their own single car garage. All condominiums enjoy lake views from the lanai. Our residents are welcome at the New Waterford pool.The pool is a favorite gathering area year round. It is a great place to get to know your neighbors. 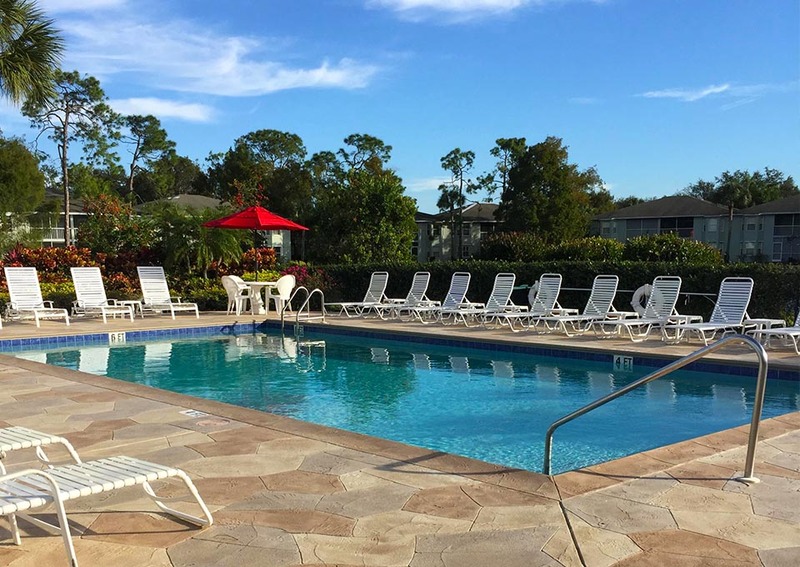 Residents also enjoy the common facilities of The Berkshire Lakes Master Association including its clubhouse, pool, tennis and pickle ball courts. Fresh water fishing is offered to all Berkshire Lakes residents from the shore line path or from the clubhouse pier. A winding path along two of the largest lakes in Berkshire is in view of some units. The path is easily accessible for all to walk or bike. Simply enjoy the views sitting on one of the west facing path benches, especially beautiful at sunset. Located at the intersection of Radio Road and Santa Barbara Blvd, New Waterford in Berkshire Lakes is conveniently located to shopping, banking, dining. Our location provides easy access to the beaches and I-75. Questions about New Waterford at Berkshire Lakes?